A place for friends to meet... with reflections on politics, history, art, music, books, morals, manners, and matters of faith. A blog by Elena Maria Vidal. Help a homeschooling family. Please donate to our college fund! 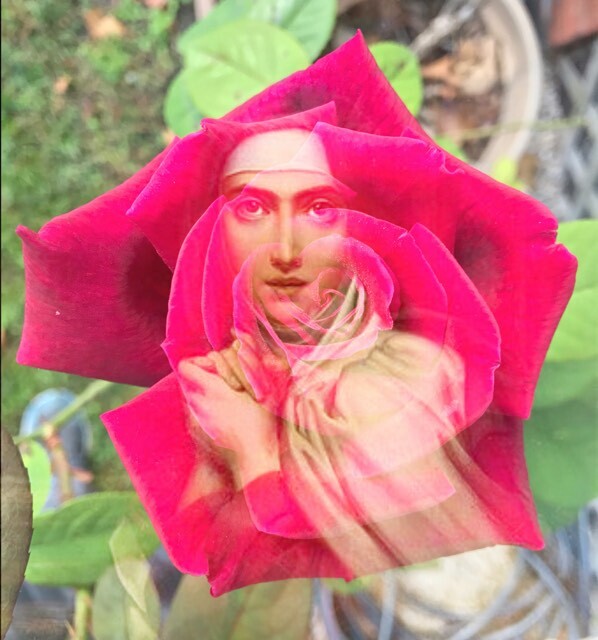 "She was not a guilty woman, neither was she a saint; she was an upright, charming woman, a little frivolous, somewhat impulsive, but always pure; she was a queen, at times ardent in her fancies for her favourites and thoughtless in her policy, but proud and full of energy; a thorough woman in her winsome ways and tenderness of heart, until she became a martyr." 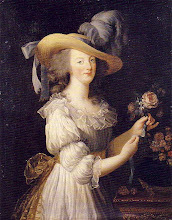 "We have followed the history of Marie Antoinette with the greatest diligence and scrupulosity. We have lived in those times. 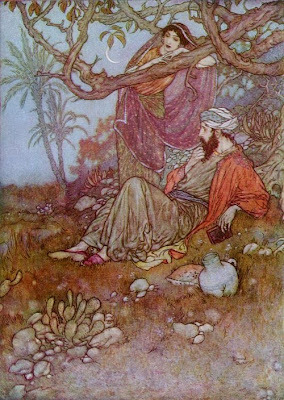 We have talked with some of her friends and some of her enemies; we have read, certainly not all, but hundreds of the libels written against her; and we have, in short, examined her life with– if we may be allowed to say so of ourselves– something of the accuracy of contemporaries, the diligence of inquirers, and the impartiality of historians, all combined; and we feel it our duty to declare, in as a solemn a manner as literature admits of, our well-matured opinion that every reproach against the morals of the queen was a gross calumny– that she was, as we have said, one of the purest of human beings." 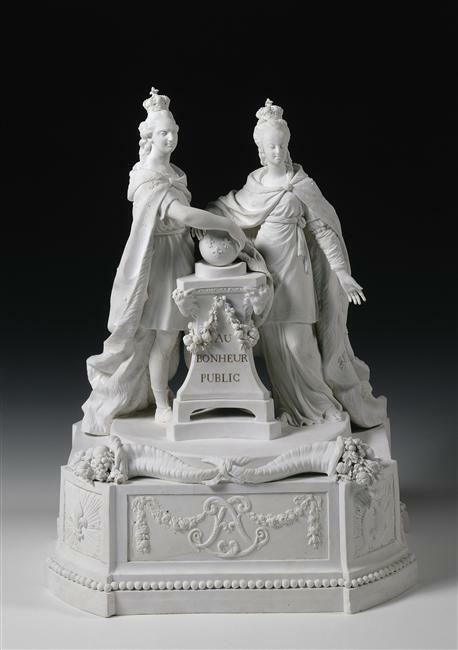 "It is now sixteen or seventeen years since I saw the queen of France, then dauphiness, at Versailles; and surely there never lighted on this orb, which she hardly seemed to touch, a more delightful vision. I saw her just above the horizon, decorating and cheering the elevated sphere she had just begun to move in, glittering like a morning star full of life and splendor and joy. Oh, what a revolution....Little did I dream that I should have lived to see such disasters fall upon her, in a nation of gallant men, in a nation of men of honor and of cavaliers! I thought ten thousand swords must have leaped from their scabbards, to avenge even a look which threatened her with insult. But the age of chivalry is gone; that of sophisters, economists, and calculators has succeeded...."
Unless otherwise noted, any books I review on this blog I have either purchased or borrowed from the library, and I do not receive any compensation (monetary or in-kind) for the reviews. Copyright © 2006- 2018, M.E. Russell. All rights reserved worldwide. In addition to rulers from Queen Maria-Theresa of Austria to Empress Eugénie of France, portraits of women in the royal or imperial family – mothers, sisters, daughters and granddaughters – are on display in the gallery. Beside them, you can see paintings of women whose lives were interwoven with power – princesses and royal favourites – and of lesser-known figures: ladies of the royal court and women in the service of queens and empresses. 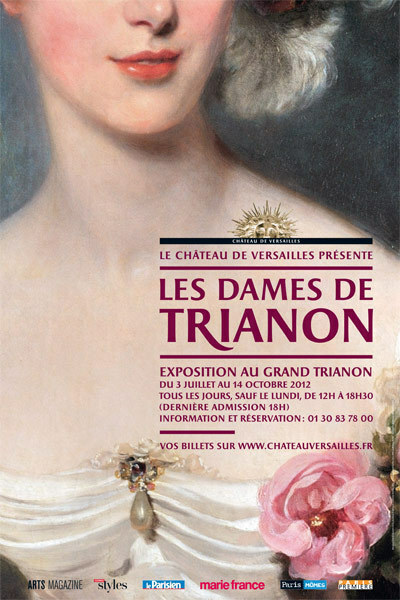 Marie-Caroline of Naples, Duchesse de Berry, appears to be the mascot of the exhibit. Klinenberg is rarely explicit about his convictions, which saves him the trouble of seriously assaying their implications, but he finally gets to the point directly in his conclusion, asserting that “living alone is an individual choice that’s as valid as the choice to get married or live with a domestic partner. . . . [I]t’s a collective achievement—which is why it’s common in developed nations but not in poor ones.” Klinenberg cites Sweden as a model to be emulated. This is a novel position, to be sure, considering that no known civilization in human history has lauded solitary living as a social ideal. Either the extended family or, since the Industrial Revolution, the nuclear family variant of it, has been a universal social norm for at least the past 10,000 years and arguably much longer than that. And you don’t need data to see why: Society needs children and children need families. On the feast of St. Agnes, January 21, 1793. When they returned to the King’s chamber, Cléry had prepared everything for Mass, with a chest of drawers as a makeshift altar. 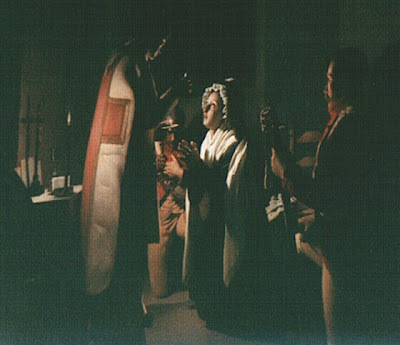 The Abbé vested for Mass in Cléry’s room. He had asked only for the essentials necessary for the saying of Mass, but the commissary had brought much more—candles, altar linens, full vestments, even incense. “I will give to priests the power of touching the most hardened hearts,” Our Lord had said to Sr. Marguerite-Marie. The Abbé said the Mass of the virgin-martyr Saint Agnes. An old Welsh recipe? Really? Author Susan Higginbotham shares her thoughts. Stephanie Mann sifts through myths and rumors. Beyond the issue of St. Thomas More and the persecution of heretics, how can a man be called "fussily pious" and "stiff-necked" who expresses the hope that he and his judges will meet merrily in Heaven?--"More have I not to say, my lords, but that like as the blessed apostle Saint Paul, as we read in the Acts of the Apostles, was present and consented to the death of Saint Stephen, and kept their clothes that stoned him to death, and yet be they now twain holy saints in heaven, and shall continue there friends forever: so I verily trust and shall therefore right heartily pray, that though your lordships have now in earth been judges to my condemnation, we may yet hereafter in heaven merrily all meet together to our everlasting salvation." On the 20th of June, about eleven o'clock in the morning, nearly all the inhabitants of the faubourgs Saint-Antoine and Saint-Marceau, where the populace chiefly lived, marched in a body to the National Assembly, to go from there to the garden and plant the liberty-tree. But as they were all armed, which gave reason to suspect bad intentions, my father ordered the gates of the Tuileries to be closed. The Assembly showed great dissatisfaction, and sent a deputation of four municipals to induce the king to order the gates to be opened. These deputies spoke very insolently; said they exacted the opening of the gates in order that those who had come to plant the tree, the sign of liberty, might return that way, inasmuch as the crowd in the rue Saint-Honoré was too great to allow them to pass. 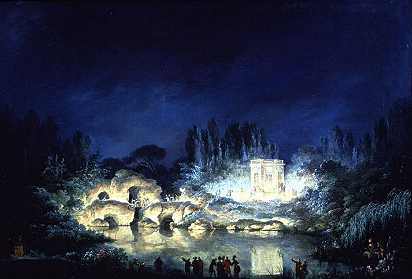 My father, however, persisted in his refusal, and they then went and opened themselves the gates of the garden, which was instantly inundated by the populace; the gates of the courtyards and the château still remained locked. "Tremble, tyrant; the people have risen;" and they held it before the windows of my father who, though he was not visible himself, could see all and hear their cries of "Down with Veto!" and other horrors. This lasted until three o'clock, when the garden was at last freed. The crowd then passed through the Place du Carrousel to the courtyards of the Tuileries, but quietly, and it was generally thought they were returning to their faubourgs. During this time our family were in the rooms on the courtyard side, absolutely alone and observing all that went on; the gentlemen of the suite and the ladies dined on the other side. Suddenly we saw the populace forcing the gates of the courtyard and rushing to the staircase of the château. It was a horrible sight to see, and impossible to describe–that of these people, with fury in their faces, armed with pikes and sabres, and pell-mell with them women half unclothed, resembling Furies. Two of the ushers wishing to run the bolts of my father's door, he prevented it and sprang himself into the next room to meet the rioters. My aunt followed him hastily, and hardly had she passed when the door was locked. My mother and I ran after her in vain; we could not pass, and at that moment several persons came to us, and finally, the guard. My mother cried out: "Save my son!" Immediately some one took him in his arms and carried him off. My mother and I, being determined to follow my brother, did all we could against the persons who prevented us from passing; prayers, efforts, all were useless, and we had to remain in our room in mortal anxiety. My mother kept her courage, but it almost abandoned her when, at last, entering my brother's room she could not find him. The persons who, on her own order, had carried him away lost their heads, and in the confusion, took him up higher in the château, where they thought him in greater safety. My mother then sent for him and had him brought back to his room. There we awaited, in the silence of profound anxiety, for news of what had happened to my father. Returning to him, I must resume at the moment when he passed through the door which was then locked against us. As soon as he thought the danger passed the king dismissed his suite, so that no one was with him but my Aunt Élisabeth, [Maréchal de Mouchy (who in spite of his 77 years and my father's order persisted in remaining), two old ushers, the brave Acloque, commander of the division of the National Guard, an example of fidelity in the uniform of rebellion], 1 and M. d'Hervilly, lieutenant-colonel of the new King's-Guard, who, seeing the danger, ran to call the Guard and collected about twenty grenadiers, but on reaching the staircase he found only six had followed; the others had abandoned him. My father was therefore almost alone when the door was forced in by one sapeur, axe in hand raised to strike him, but [here] by his coolness and imperturbable courage my father so awed the assassin that the weapon fell from his hand,–an event almost incomprehensible. It is said that some one cried out: "Unhappy man, what are you about to do?" and that those words petrified him; for my part I think that what restrained that wretch was Divine Providence and the ascendancy that virtue always maintains over crime. The blow having thus failed, the other accomplices, seeing that their leader had let himself be cowed, dared not execute their evil designs. Of all this mass of the populace, there were certainly very few who knew precisely what they were expected to do. To each had been given twenty sous and a musket; they were sent in drunk with orders to insult us in every imaginable way. Their leader, Santerre, had brought them as far as the courtyard, and there he awaited the success of his enterprise. He was desperate on learning that his stroke had missed, and he came near being killed himself by a man in the château, who aimed for him, and was prevented from shooting only by remonstrances as to the danger to which he exposed my father; for if Santerre were sacrificed the brigands would surely avenge him. 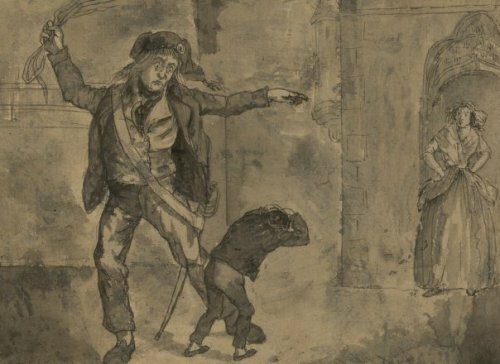 My father was nevertheless obliged to allow all these wretches to go through the rooms of the château, and, standing himself in a window with my aunt, he watched them pass before him and heard the insults with which they overwhelmed him. It was on this horrible day that my father and my aunt each made a memorable speech. At the moment of the greatest danger a soldier came up to the king and said to him, "Sire, fear nothing." My father took his hand and laid it on his own heart. "Does it beat hard, grenadier?" he said. 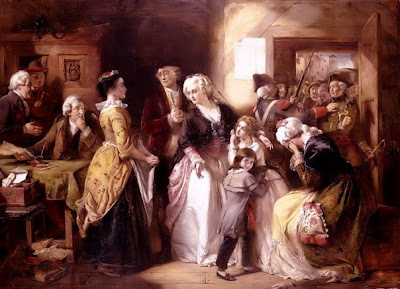 Shortly before, my Aunt Élisabeth, being mistaken for the queen, saw herself exposed to the utmost fury of the brigands; some one near was about to make her known. "Do not undeceive them," cried my aunt with sublime devotion. This dreadful situation lasted from half-past three in the afternoon till eight at night. 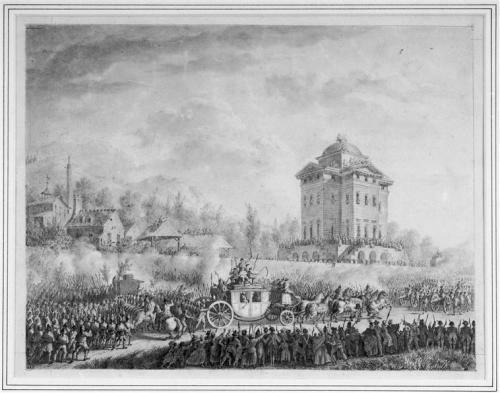 Pétion, mayor of Paris, arrived, pretending to be much astonished on hearing of the danger the king had run. In haranguing the people he had the impudence to say: "Return to your homes with the same dignity with which you came." The Assembly, seeing that the stroke had missed, changed its tone, pretended to have been ignorant of everything, and sent deputation after deputation to the king expressing the grief it feigned to feel for his danger. Meantime my mother, who, as I said, could not rejoin the king, and was in her apartment with my brother and me, was a long time without hearing any news. At last, the minister of war came to tell her that my father was well; he urged her to leave the room where we then were, as it was not safe, and we therefore went into the king's little bed-chamber. We were scarcely there before the rioters entered the apartment we had just left. The room in which we now were had three doors: one by which we had entered, another opening upon a private staircase, a third communicating with the Council Chamber. They were all three locked, but the first two were attacked, one by the wretches who were pursuing us, the other by men who came up the little staircase, where we heard their shouts and the blows of their axes. In this close danger my mother was perfectly calm; she placed my brother behind every one and near the door of the Council Chamber, which was still safe, then she placed herself at the head of us all. Soon we heard some one at the door of the Council Chamber begging to enter. It was one of my brother's servants, pale as death, who said only these few words: "Madame, escape! the villains are following me." At the same instant, the other doors were forced in. In this crisis my mother hastily ordered the third door opened and passed into the Council Chamber, where there were, already, a number of the National Guard and a crowd of wretches. My mother said to the soldiers that she came to take refuge with her son among them. The soldiers instantly surrounded us; a large table standing in the middle of the Chamber, served my mother to lean upon, my brother was seated on it, and the brigands defiled past it to look at us. We were separated from my father by only two rooms, and yet it was impossible to join him, so great was the crowd. We were therefore obliged to stay there and listen to all the insults that these wretches said to us as they passed. 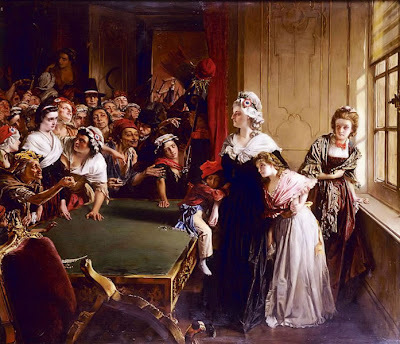 A half clothed woman dared to come to the table with a bonnet rouge in her hand and my mother was forced to let her [Page 236] place it on her son's head; as for us, we were obliged to put cockades on our heads. It was, as I have said, about eight o'clock when this dreadful procession of rioters ceased to pass and we were able to rejoin my father and aunt. No one can imagine our feelings at that reunion; they were such that even the deputies from the Assembly were touched. My brother was overcome with fatigue and they put him to bed. We stayed together for a time, the room being full of deputies. An hour later they went away, and about eleven o'clock, after having passed a most terrible day, we separated to get some rest . . . .
Fr. John Trigilio on the trials and joys of priestly life. There will always be temptations in every vocation and because priests influence so many people and can potentially save many souls, Satan goes out of his way to discourage, disappoint and demoralize Christ's ordained ministers. The Devil wants us to envy each other. He wants us to be resentful rather than grateful. Daily prayer and annual retreat are necessary and obligatory. But very helpful is cultivating priestly FRATERNITY. The priests who have left, who have gone off the deep end, who have become recluses or eccentrics are the ones who have no good priest friends. When priests stay to themselves we can become idiosyncratic to say the least. Being odd is not good. Vive la Reine on some common misconceptions. The intended destination of the royal family was actually the royalist fortress of Montmedy. Louis XVI firmly refused to leave the country and, according to biographers such as Fraser, Webster, Hardman and more, turned down several flight routes to Montmedy which would have been much faster and safer because they briefly took him across the French border. It is always interesting when research affirms what common sense and tradition have long dictated. Coco Chanel and the elegance of simplicity. A hairpin that may have belonged to Catherine de Medici has recently been found. 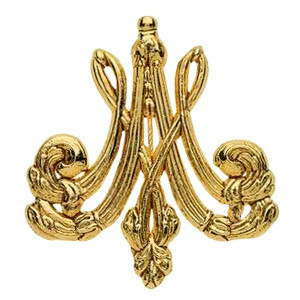 According to the June 13, 2012 edition of the French newspaper La République, excavations in the Henri IV courtyard of the château de Fontainebleau unearthed a hairpin possibly belonging to queen Catherine de Medici. Not far away, in Curtain Close, Shoreditch, another theater was built a year later, and dubbed The Curtain. This was used to try new shows or for lesser productions, and from 1597 to 1599 it became the home of the Lord Chamberlain’s Men, the theater company of William Shakespeare. Romeo and Juliet debuted there (it’s where the action in Shakespeare in Love would have taken place), as well as Henry V. Once the Globe was built, Shakespeare’s men left the Curtain for good. Mrs Feng and her 29-year-old husband, Deng Jiayuan, already have a child, a six-year-old girl. But, as farmers, they were entitled by Chinese law to have a second baby with the permission of their local family planning bureau. When Mrs Feng was three months pregnant, officials said they visited her and asked her to fill in an application form and to change her hukou, a Chinese registration permit, to say she lived in the countryside. It is not clear why Mrs Feng failed to fill in the forms and transfer her residence. She has complained on Weibo, China's version of Twitter, that she was not warned of the consequences until it was too late. But as her pregnancy progressed, local officials offered her family a deal: pay 40,000 yuan ($6250) to smooth the bureaucracy over. Last week, researchers unveiled new evidence suggesting that a long-disputed portrait does, in fact, depict a thirteen-year-old Jane Austen. The painting in question is a picture of a very pretty girl with dark eyes and pursed lips, wearing a cloudy-white Empire-waist dress. 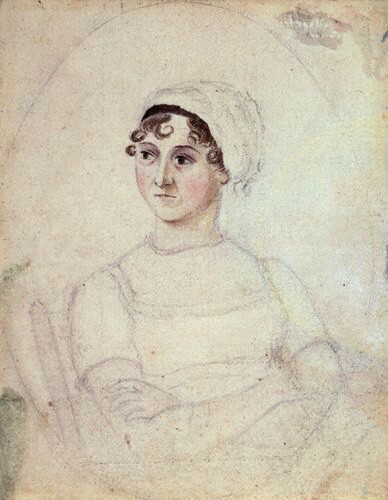 Since the late nineteenth century, members of a branch of Austen’s family have contended that it is a portrait of their famous ancestor—but historians have disputed the claim, saying that the style of the girl’s dress was not in fashion until Austen was twenty years old. The story of a tempestuous Saxon queen. Aelfthryth was born c. 945, the daughter of Ordgar who held numerous properties in southwest England. Her mother was a member of the royal family of Wessex and her brother Ordulf founded the abbey of Tavistock. Edgar was born c. 943 and became King in 959. He married a childhood friend, Aethelflaed when very young and had a son named Edward by this wife who appears to have died soon afterward. There is some confusion over whether he married his second wife or not. 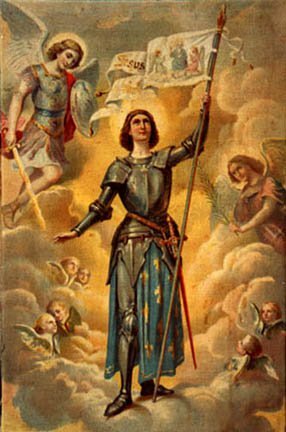 Her name was Wulfthryth and she had a daughter with Edgar who later became Saint Edith of Wilton but, there were no male heirs born. Eventually, Edgar disposed of Wulfthryth as his “wife” and began a search for another wife. It is easy to forget, when surrounded by modern conveniences, what many of our ancestors went through in order to build a new life in North America. City of Slaughter by Cynthia Drew sheds light on the harsh realities of immigrant life in New York City in the early twentieth century. The story opens with a horrific pogrom in a Jewish village in Russia in what was known as "the Pale," the region where the Jews were compelled to live. Thirteen year old Carsie Axelrod witnesses her parents brutally murdered by Cossacks, an incident which sets her not only on the road to America but also propels her into radical politics, feminism and even emotional disorders. In case anyone ever wondered why so many Jews became involved in Communism and anarchism in the early 1900's, they have only to read a novel such as this one in order to see the injustices which persuaded people to join those movements. Told with page-turning suspense, the book is replete with authentic descriptions as well as soul-searing drama. As Carsie and her little sister Lilia barely make it to America with their lives, they find their circumstances in New York as harrowing as anything they left behind in Russia. Miss Drew gives us balanced portrayals of the various characters; not all the immigrants are industrious and some are drawn into crime and drug addiction. Many women are the sole support of their families as their husbands become bogged down in gangland plots and general degradation. On the other hand, there are any number of hard-working, responsible men who build businesses out of nothing, overcoming prejudice, exhaustion and illness. I enjoyed how the various characters and their stories are woven into the tale of Carsie and Lilia. It can be a challenge to go back in time and see the world through the eyes of another culture but the author has succeeded magnificently. A brilliant work of historical fiction, City of Slaughter is both heartbreaking and hopeful. New data merely confirms what has been known from the beginning of time. Author Christina Croft looks at the Red Cross mission to Russia in 1917. Surprisingly, this ‘mission’ of 24 people comprised only 4 doctors and the rest were financiers, photographers and lawyers, and the mission leaders lived in the most expensive hotels, taking photographs and, no doubt, eyeing the resources of the country to which they had not had access under the Tsar. What became of Wilson’s idea to ‘make democracy safe for everyone’? A grand imposing idea that led to Hitler, Stalin and Trotsky (who, incidentally, had been driving round New York in a limousine before setting sail for Russia, and was released from captivity in Canada on the orders of Britain and America so that he could continue the revolution in Russia) and Lenin, who – great socialist that he was! – had been living in relative luxury in Switzerland before being funded by the financier Jacob Schiff and others, to cause such disruption in Russia. 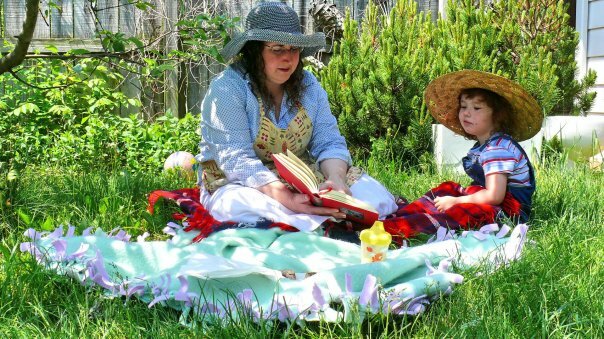 Author Gail Damerow on raising chickens at home. 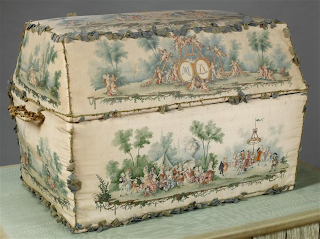 This lovely, little chest was made for Marie Antoinette's second child, the dauphin, Louis Joseph, on the occasion of his birth. The interior of the chest is lined with white taffeta. The exterior is decorated in an allegorical style with mythological subjects and scenes of people rejoicing. 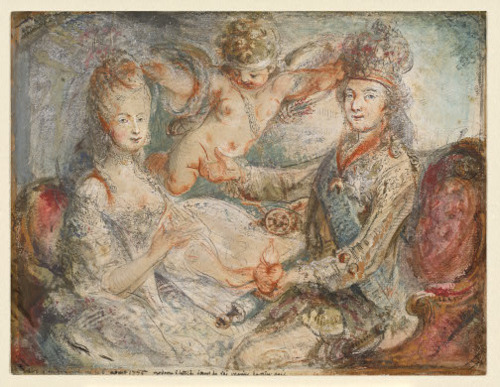 The figures of Louis XVI and Marie Antoinette crowned by Cupids have been painted on the lid. Between 1945 and 1950, Europe witnessed the largest episode of forced migration, and perhaps the single greatest movement of population, in human history. Between 12 million and 14 million German-speaking civilians—the overwhelming majority of whom were women, old people, and children under 16—were forcibly ejected from their places of birth in Czechoslovakia, Hungary, Romania, Yugoslavia, and what are today the western districts of Poland. As The New York Times noted in December 1945, the number of people the Allies proposed to transfer in just a few months was about the same as the total number of all the immigrants admitted to the United States since the beginning of the 20th century. They were deposited among the ruins of Allied-occupied Germany to fend for themselves as best they could. 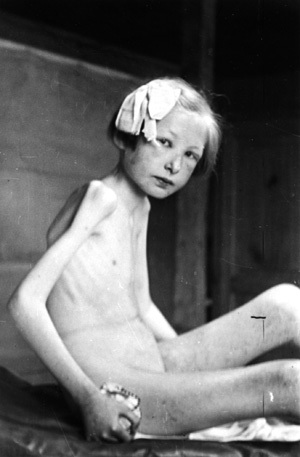 The number who died as a result of starvation, disease, beatings, or outright execution is unknown, but conservative estimates suggest that at least 500,000 people lost their lives in the course of the operation. He betrayed both Bishop John Fisher and Thomas More, perjuring himself in the latter case (thus the title of the post). Rich took full advantage of the Dissolution of Monasteries as Chancellor of the Court of Augmentations to acquire great wealth, even though he was a Catholic. The Pilgrimage of Grace linked his name with Thomas Cromwell's in their umbrage against the suppression of the monasteries. As A.F. Pollard notes in the article linked above, "His religious predilections inclined to Catholicism; but he did not allow them to stand in the way of his advancement." He also betrayed his master, Thomas Cromwell when his fall was near and he assisted in the torture of Anne Askew in the Tower of London. Rich consulted with Bishop Gardiner, whom he would later prosecute, in efforts to discover and punish heresy according to Henry VIII's desires. 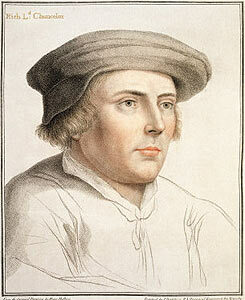 Baron Rich served as an executor of Henry VIII's will and then as Chancellor for Edward VI. He aided Lord Somerset in the prosecution of the Protector's brother, Thomas Seymour and then switched sides to aid John Dudley, later Duke of Northumberland, in the trial and prosecution of Protector Somerset. Rich prosecuted the conservative (Catholic) bishops Gardiner and Bonner, and joined in the harassment of Mary to give up the Catholic Mass and conform to the new Book of Common Prayer. Again, he switched sides when Northumberland's plot to place his daughter-in-law Jane Dudley (nee Grey) on the throne in 1553 appeared doomed to failure, and then he prosecuted Protestants and heretics during Mary I's reign. Yes, in my youth I was a pro-abortion advocate, and I thought that all pro-life advocates were crazy religious zealots who foamed at the mouth and spewed Bible verses like profanities…like a pro-life version of the Westboro Baptist Church. God Hates Whores! This is a common stereotype that pro-abortion advocates have about pro-life folks because, honestly, this is how a lot of pro-choice supporters debate. I debated this way myself, by being louder and more vulgar than my opponent, who would just give up frustrated and walk away. I actually considered it “winning” when this happened. So I can sympathize to some extent when I hear pro-abortion advocates vilify pro-lifers. Immediately it tells me two things about them: they have never honestly spoken to a pro-life advocate, and this is how they themselves debate. I can adjust my behavior accordingly and prepare myself for the verbal lashing. So yes, I had decided that if I drove to the clinic and there were angry pro-lifers frowning at me and pelting me with Bibles, I would turn around and go home. In fact, on the drive there I actually prayed that there would be angry pro-lifers drunk on their own piety, waiting there for me…like vultures. Please please please, God, let there be Your people standing in between me and the door to the clinic. In fact, I was so convinced there would be a pro-life presence I drove right by the place. Twice. It was such a quiet, unassuming gray building. This couldn’t be the place, I thought. But I drove by one more time and checked the number on the front of the building – it didn’t have the clinic’s name on the building or on any sign – before finally putting my car in park. Then I waited. Every age has its special strength, and generally one in which some particular nation is specially strong. Every age has also its special weakness and deficiency, and a need which only another type could supply. This is rather specially the Age of America; but inevitably, and unfortunately, rather the America of the Northern merchants and industrialists. It is also the age of many genuine forms of philanthropy and humanitarian effort, such as modern America has very generously supported. But there is a virtue lacking in the age, for want of which it will certainly suffer and possibly fail. It might be expressed in many ways; but as short a way of stating it as any I know is to say that, at this moment, America and the whole world is crying out for the spirit of the Old South. There is evidence that the leaders of the Commune gave their tacit approval for Simon to go much further [in his abuse of Louis-Charles.] On July 3, 1793, Simon questioned his superiors quite bluntly about their aims. Inspired by these men, in the secret, hidden environment of the Tower, a pattern of abuse began to develop which, unchecked, grew worse and more terrible over time. I never heard of this custom but Gio has researched it. The day of the sacred ceremony being agreed upon, the gaoler came to meet us during the night at a particular spot, and took us into the prison. I heard the Queen's confession. Mademoiselle Fouché was prepared to receive her Saviour and the two gendarmes assured me that they also were ready, and earnestly desired to communicate in these fortunate and unexpected circumstances. 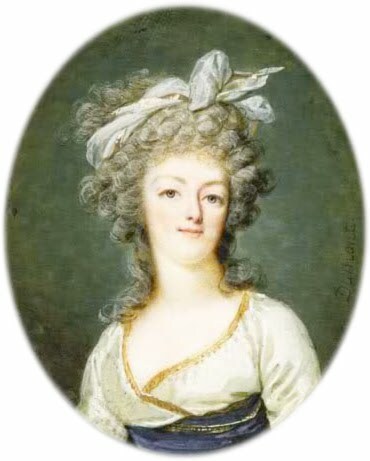 On May 4, 1789, she put Louis-Joseph and his sister with Madame de Polignac on a balcony above the stables so they could watch the magnificent Eucharistic procession which marked the opening of the Estates-General. 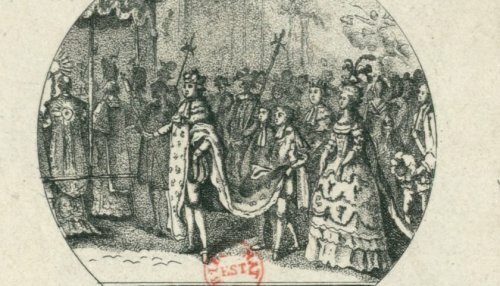 The procession wound from the Royal Chapel, across the vast courtyard of the palace, through the streets of the town of Versailles, to the Church of Saint Louis. The monstrance, in the hands of a bishop, was under a rich canopy carried by Provence, Artois, Berry, and Angoulême. Everyone held a candle, except for the standard bearers, with the fluttering silken banners, and the royal falconers, with falcons on their wrists, looking both noble and fierce. The King, with a lighted taper, walked directly behind the monstrance. He wore a cloth of gold mantle and a plumed hat with the famous Regent diamond. He was wildly applauded by the crowds that lined the route. But when Antoinette, who with her ladies followed the King’s household, passed by in her gown of gold and silver tissue, every tongue fell silent. She could almost taste the hatred. It frightened her. When passing beneath the balcony where her sick boy was lying, she glanced up to blow him a kiss. The cry “Long live Orléans!” resounded in her ears. The extent of the malice overwhelmed her. That someone could hate her so much that they would use her child’s suffering as an opportunity to humiliate her; that they would praise her known enemy at a moment when as a mother she was most vulnerable, within the hearing of her pain-wracked Dauphin, stunned her as much as if she had been whipped or burnt. She halted, dizzily, then turned to see who had insulted her. 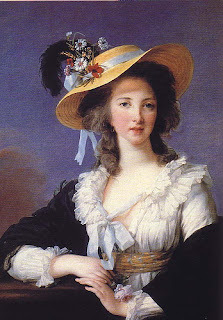 In doing so, she staggered, but before she lost her balance, Princesse de Lamballe took her arm and steadied her. In Kirkus Top 20 for 2014! St. Teresa of Avila, pray for us! Please Stop By for a visit! Join the Party on FB! The fact that a link is provided here in no way constitutes an endorsement of everything on the other end of the link. Comments are moderated. If a comment is not published, it may be due to a technical error. At any rate, do not take offense; it is nothing personal. Slanderous comments will not be published. Anonymity may be tolerated, but politeness is required. I would like to respond to every comment but my schedule renders it impossible to do so. Please know that I appreciate those who take the time to share their thoughts.